Elections used to be the statistician’s nightmare, the bookie’s delight and the astrologer’s meal ticket. State polls in Gujarat and Himachal Pradesh is likely to boil down to Prime Minister Narendra Modi versus Congress vice president Rahul Gandhi. Elections used to be the statistician’s nightmare, the bookie’s delight and the astrologer’s meal ticket. However, the sponsored science of psephology has eliminated the frisson of surprise and unpredictability in today’s electoral battles. Pollsters use mind-reading machines and algorithms to predict election results, even months before the first ballot are cast. Since the majority of opinion and exit polls have correctly captured the trends, if not the numbers in past elections, political parties have been formulating campaign strategies around poll surveys conducted by various agencies, including the ones they hired. If the pollsters are right, the composition of both Gujarat and Himachal Pradesh Assemblies has already been decided before December 18, when counting begins. They predict, the BJP will romp home in both the states with a two-thirds majority in Himachal and make a breezy comeback in Gujarat. Yet, the heated debates in drawing rooms and board rooms are less about the results and more about the mass mojo of Prime Minister Narendra Modi and Congress President-in-waiting Rahul Gandhi. Victory or defeat in these elections are hardly going to change the national political contours. But their results are bound to define the stature of the individuals at the helm rather than ideologies. 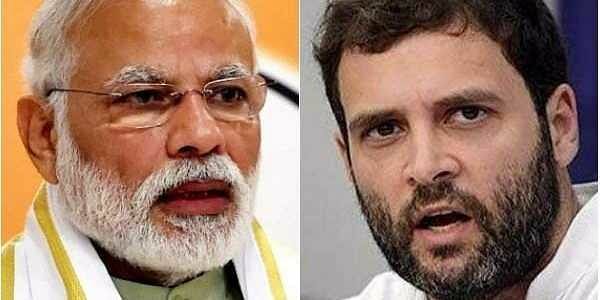 Will Modi become a bit weaker or Rahul a tad stronger is the December question. Psephology pundits have unanimously concluded that Modi is miles ahead in popularity. The poll outcome naturally depends on the mass outreach of the two leaders. If the BJP lassoes in both the states, it will be Prime Minister’s personal credibility and connectivity with the masses, which has won the day and not because the people are in love with the lotus. If the Congress loses once again, it would not suggest the party’s condition has worsened since 2014, but that Rahul and local leaders are yet to persuade voters to take a leap of faith. Normally, local caste equations and local issues influence state polls. Once, the charismatic Indira Gandhi led the Congress to victory in over two-thirds of the states, which believed in her magic. Thirty years after her assassination, the nation chose a leader with similar skills and resolves in 2014, by giving Modi a majority. Since then— barring Delhi, Bihar and Punjab—the BJP has won almost all Assembly elections and formed the government with allied support in states it couldn’t wrangle a majority of its own. After Jawaharlal Nehru, only his daughter could bring the Congress to victory in over two-thirds of the states where it could rule for over a decade. Modi is today’s mass mascot who has succeeded in expanding a similar power footprint for his party—with the rest of the decade to go. Considering the vaudeville and vitriol, it is not surprising that both the national parties have made the two state elections a trophy affair. Incumbency is on trial here. Curiously, both the parties have the same target; each one wants to beat incumbency in the state it rules and seize the one where it is the Opposition. The Congress faces five years of anti-incumbency in Himachal Pradesh. The BJP is seeking a mandate on 22 years of performance in Gujarat. Going by campaign optics, the Congress lacks visibility and aggression. It also lacks leaders who can pull crowds or supercharge voter voltage. In Himachal, the party released a list of 40 star campaigners, including Sonia and Rahul Gandhi, Punjab Chief Minister Amarinder Singh and former chief ministers Bhupinder Singh Hooda, Harish Rawat, Ashok Gehlot and Sheila Dixit, besides the relatively younger Navjot Sidhu, Sachin Pilot and Raj Babbar. With Sonia plagued by ill health, Rahul clocked election miles over a few visits. The rest of the leaders failed to connect with workers and voters. The Congress’ only hope in Himachal was its old royal warhorse, Virbhadra Singh who is, however, grappling with popular disgust and corruption charges. The charge of the BJP brigade was led by the Prime Minister himself who made four visits to the hill state covering almost two-thirds of the Assembly seats. Party chief Amit Shah moved both men and material along with over half a dozen Union Ministers and four Chief Ministers to defeat the Raja without an army. A BJP victory in even a tiny state would mean yet another notch in the saffron belt. Gujarat is where the shatranj of political khiladis is on, with the grandmasters playing out endgame strategies. Modi’s mission is to retain Gujarat by improving on its present tally of 119. Under his leadership, the BJP had won all the 26 Lok Sabha seats in 2014. Shah’s target is to capture 150 seats in the house of 182 MLAs. This is for the first time in 15 years that the BJP is fighting the Gujarat state elections without Modi as the chief minister. From 2014, the state has been led by two relatively uncharismatic and uninspiring satraps, Anandiben Patel and Vijay Rupani. Modi has realised the local leadership’s limitations. Since January, he has made over a dozen visits to his home state. The avoidable delay in announcing the election dates for Gujarat in tandem with Himachal sent out wrong signals about the party’s confidence. Moreover, Rahul has been drawing more crowds than the BJP expected. Various power castes such as Dalits, Adivasis, and trading communities over the GST’s faulty implementation have expressed disillusionement with the party, forcing Modi to take full charge of the campaign along with Shah. According to sources, he is likely to carpet bomb the state with over two dozen public meetings. The party will also invite its new saffron mascot and Uttar Pradesh Chief Minister Yogi Adityanath to campaign extensively to allay discontent in its Hindutva base. Though the Prime Minister is seeking votes himself to enable the state government to improve upon its development record to harmonise with the Centre’s, ironically, it’s he who is being projected as the most deserving candidate—not even the CM. Another first in Gujarat—the election is no contest for Rupani, since the Congress has abstained from naming a CM candidate of its own. The BJP slogan is a twist in the 2014 redux rally—Ab ki baar, phir Modi sarkar. The poll maxim being, it is the outcome in Gujarat and not Himachal, which will maximise more the Maximum leader Modi, or minimally minimise him if his party doesn’t get a resounding majority. A marginal rise in the popular vote share in favour of the Congress will marginally magnify a perceptively pallid and politically marginalised Rahul Gandhi.